This was an interesting read. I remember dressing up as pilgrims and Indians for Thanksgiving in kindergarten, but I think it only consisted of hats and headdresses. I don’t think we ever did one of those in any of my classes. I’m not sure if I’m disappointed or relived. Interesting. Thanks for the read. I definitely remember the wampum macaroni necklaces! And making teepees. (ps. Maggie & I support the Lakota children in South Dakota-have for many years. 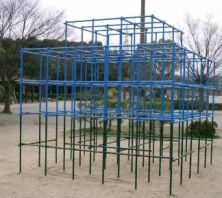 http://www.stjo.org). Wampum macaroni was fun. …I think mine was pretty bad though, but that didn’t stop me. I dig your blog. Great dog. I do hope you’ve looked into St. Joseph’s. I’m always a little wary of boarding schools, because I know too many people who have endured abuse in them. I like the fact that they support Lakota culture, but I couldn’t see clear evidence of a role for native leaders in defining that on their website. They mention a cultural expert, for example, but they don’t say who he is, how he was chosen, or what role he has on the curriculum at large. It’s not always obvious from a name who is and who isn’t native, so I may have missed something, but some accountability to native voices ought to be built into programs like that, and I just didn’t find it. A few searches and I turned up several negative pages. There may be solid answers to the concerns, but it’s certainly cause for concern. I’m sorry if this is bad news, and sorrier still if I’m being unfair to them. I’m just suspicious by nature and I thought I saw a few red flags. In the neighborhood I grew up in (also in the 70s), I was one of the youngest kids on the block, and the only girl, so I wasn’t exactly super popular with the other kids. I also happened to have long black hair that I wore in two braids, and I was brown-skinned in a place that was predominantly white. I remember one afternoon one of the little boys in the ‘hood actually stopped by our house and asked if I could come out and play. I was shocked, but pleased. Turns out they wanted to play cowboys and indians — and they needed an Indian. I remember being really really pissed and telling them I couldn’t come out to play, though in retrospect I’m sure they didn’t mean anything malicious; they were just being practical…. And of course we all got older and then being a girl wasn’t so bad. Lol, that’s a great story. Funny how kids bring the skewed cultural significance of something like dark skin right out, just by not knowing any better. Thank you for stopping over my blog and for this provacative read. By chance, I had seen on a French channel yesterday a documentary called “Reel injun”. I highly recommend it. Hollywood was far from the best model in depicting any ethnic group. I am not of native-American Indian background but I really feel ashamed and sorry for all the native Americans or Candians. Peace to you and everyone. Thanks for stopping by. Reel Injuns is indeed a wonderful movie. Lol, now I know where the GOOD scissors were! I enjoyed the dying part (as a kid I went through a real gonna-be-a-stunt-man phase). It just got frustrating that some of my classmates never took their turn. Thank you Judy. Did you do a blog post about your trip through there? What an interesting post! I am fascinated by the representations of indigenous peoples in popular culture and the percetion mainstream societies have of these peoples. I feel a major step in the healing and reconciliation process must be to transform these representations and perceptions. I have written about representations of ind. 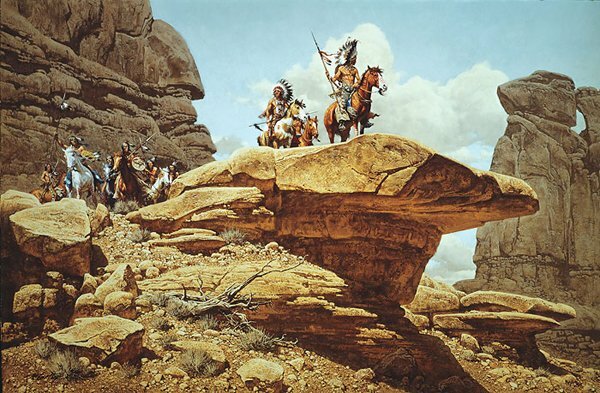 peoples in science-fiction, for example, on The Geek Anthropologist, but I mostly write about my interest for native studies on my second blog, Not Your Usual Folklore. I’d be really interested to learn more about your learning process after you started working with indigenous peoples: have you written more about this on your blog? I’ll go do some exploring! A very interesting writing. I know about Indian from the book written by Karl May only -broadly the book telling me the good and the bad equally…but actually i’d really interested to learn more about Indian in the nowdays. All great writing here – your post, Daniel, as well as commentary. All fond memories (although fairly ignorant at the time) of childhood plays, dress-up, making costumes, the macaroni, the construction paper to make headdresses. Does anyone remember the paste used in elementary school? On a broader note, you’re a great writer. Really enjoy some of the topics. And finally, thank for liking some of my posts, “Misty Morning on the Lake” and “Sheepish”. Will catch up again soon. 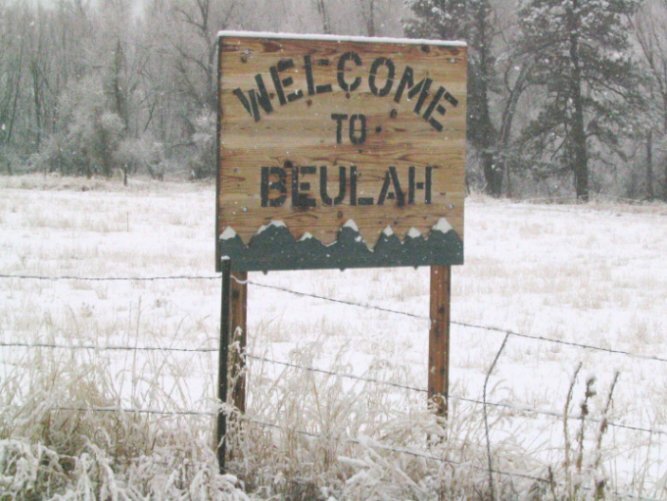 I live in the state so this is a little embarrassing, but I’ve never even heard of Beulah. I need to check it out. How’s living in Alaska? I want to move there, but I’m not sure my husband would come with me… too far from home. That sounds nice. Where does that happen? We went to Alaska once, but it was just in the south east. I’d like to go further north. It’s all over the North Slope. The indigenous community up here gets about 79-80 strikes a year I believe, and they celebrate the harvest in June. It starts with sharing the food, then moves on to the blanket toss. That sounds really interesting! I definitely want to get up there for that sometime soon. It’s the first place on my travel list. Do you know if flying in that part of the state is dangerous in the spring/summer? My husband is getting his pilot’s license and it is a goal for us to fly in or to Alaska at some point. I don’t know much about how you would tell. But we get 3 commercial flights a day, barring bad weather. Sometimes a flight is cancelled, but not too often. Hi again, Dan. I just read this for the 2nd time, and notice I had already commented (I was about to say the same things all over again. Great memories during childhood, but way more perspective now. I just read Cormac McCarthy’s “Blood Meridian” – hard to read at times, but hard to put down as well. Anyway, still love your site!